Maximize your workspace while expanding your workstation with the Dell™ E/Port Plus Replicator. 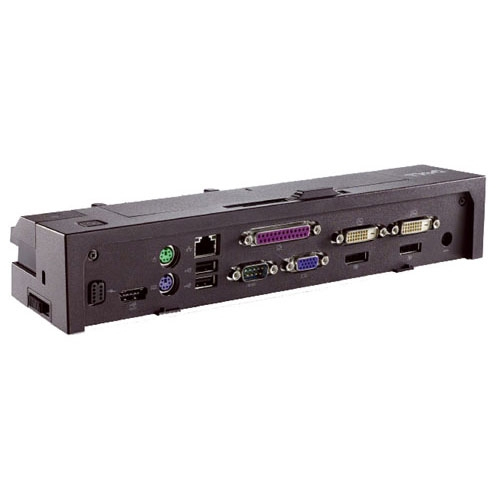 It provides optimized support for VGA, two DVI and two Display ports. With native resolution of 2560x1600 via display ports it can support two 30" LCD. This product has been tested and validated on Dell systems. It is supported by Dell Technical Support when used with a Dell system.